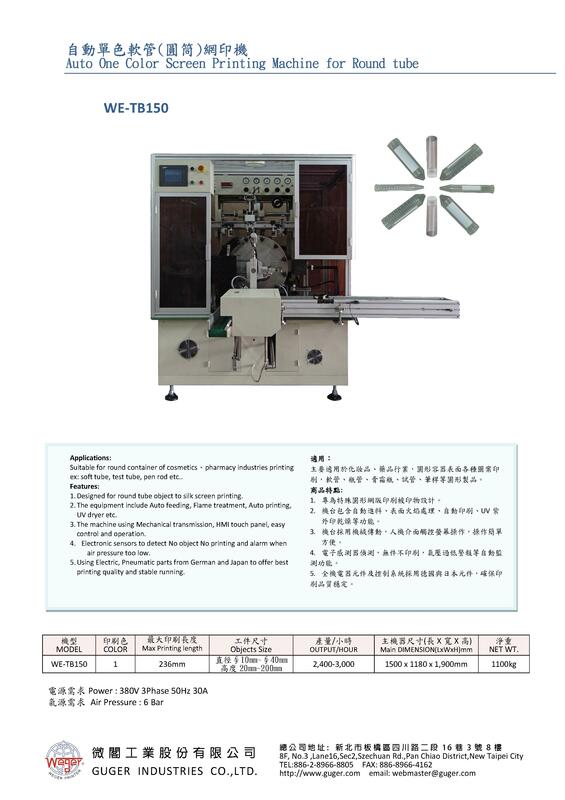 Auto One Color Screen Printing Machine for Round tube (WE-TB150) - Guger Industries Co., Ltd. Suitable for round container of cosmetics、pharmacy industries printing ex: soft tube, test tube, pen rod etc..
5.Using Electric, Pneumatic parts from German and Japan to offer best printing quality and stable running. 1.Designed for round tube object to silk screen printing. 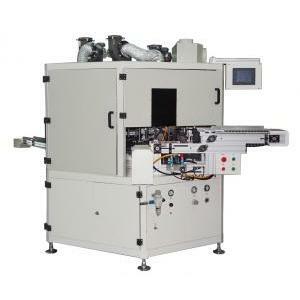 2.The equipment include Auto feeding, Flame treatment, Auto printing, UV dryer etc. 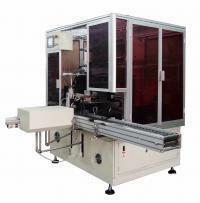 3.The machine using Mechanical transmission, HMI touch panel, easy control and operation. 4. Electronic sensors to detect No object No printing and alarm when air pressure too low.